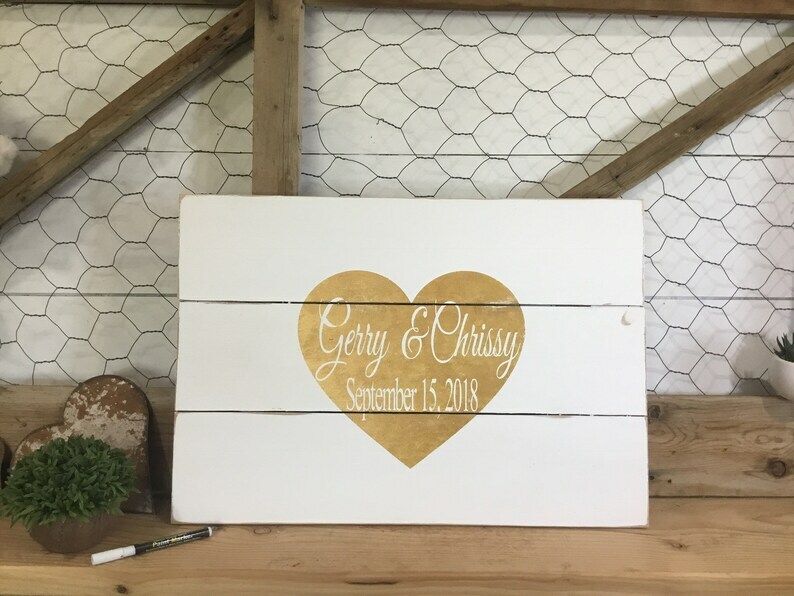 This Rustic Wooden Plank Wood Wedding Sign in Guest Book is right on trend!! 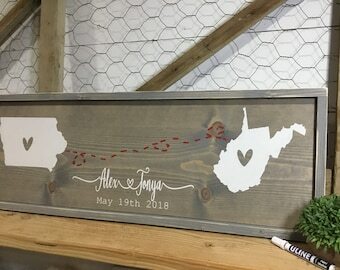 The wood is distressed then left unsealed so guests can sign with INCLUDED GOLD/SILVER SHARPIE PEN . Sign was well made and beautiful. Seller was very easy to work with. This came out beautiful! We cant wait to use it!